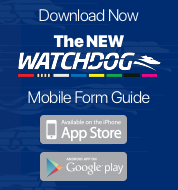 Greyhound Racing Victoria ("GRV") is committed to protecting the privacy of individuals' personal information. GRV is bound by the National Privacy Principles set out in the Privacy Act 1988 (Commonwealth) and the Information Privacy Principles set out in the Information Privacy Act 2000 (Victoria) ("the Acts"). GRV will, from time to time, collect and use personal information. The types of personal information collected and the purposes for which that personal information will be used will depend on the circumstances, but will always relate to the administration or operation of greyhound racing in or related to Victoria. where third parties appointed by GRV require access to personal information held by GRV to perform services (in which case GRV requires these contractors to keep that personal information confidential and not to use or disclose it for any purpose other than the purpose of performing those services). where GRV is required or authorised by law to disclose personal information, for example to law enforcement agencies; or with the individual's consent. GRV will take all reasonable steps to protect all personal information held by it from misuse and loss and from unauthorised access, modification and disclosure. Any person may seek access to personal information which GRV holds about that person and GRV will provide access to that information in accordance with the Acts. There are certain exemptions which may apply to the provision of that information. GRV may charge an administration fee for granting access to information. If you have any questions or concerns about GRV's collection, use or disclosure of personal information, contact GRV on 8329 1100.